After Earnhardt claimed a listing for a Corvette once owned by him was fraudulent, the internet descended on the dealer. 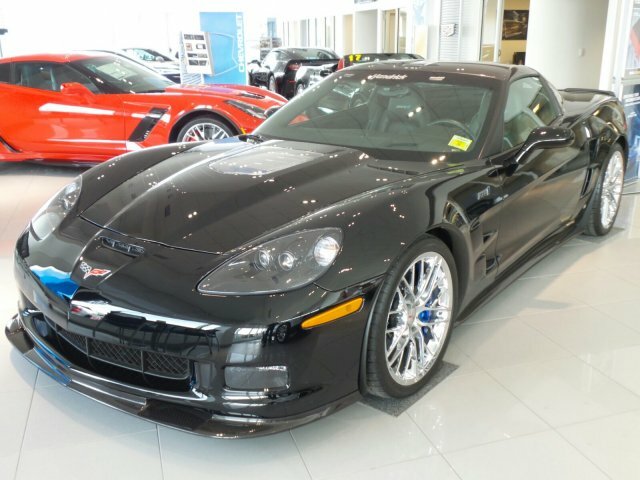 On Thursday, we highlighted an eBay listing from a Pennsylvania dealer selling a 2009 Chevrolet Corvette ZR1 that was purportedly once owned by none other than Dale Earnhardt Jr. Shortly after the post was published, Junior himself tweeted at The Drive to say that he'd never driven it, throwing in an ominous "buyer beware." So case closed, right? Just another dealer trying to make a shady dime? Well, not quite. We reached out to Fairfield Auto Group yesterday to get to the bottom of the story, and finally heard back from assistant manager Fletcher Quigley earlier this morning. 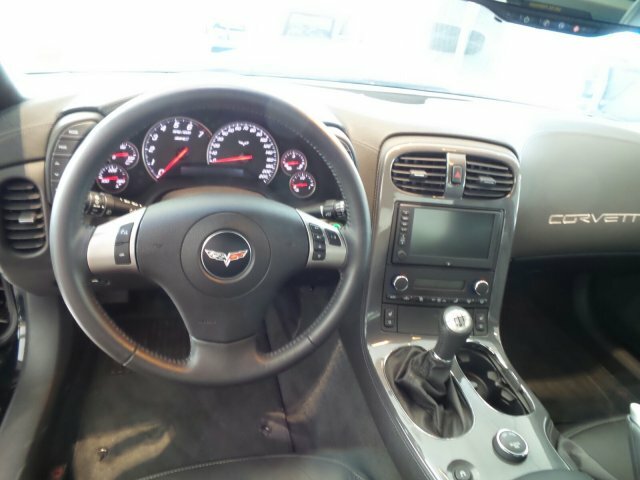 A patient-sounding man, he told The Drive that the dealership bought the Corvette from a Barrett-Jackson auction in Scottsdale, Arizona this January. 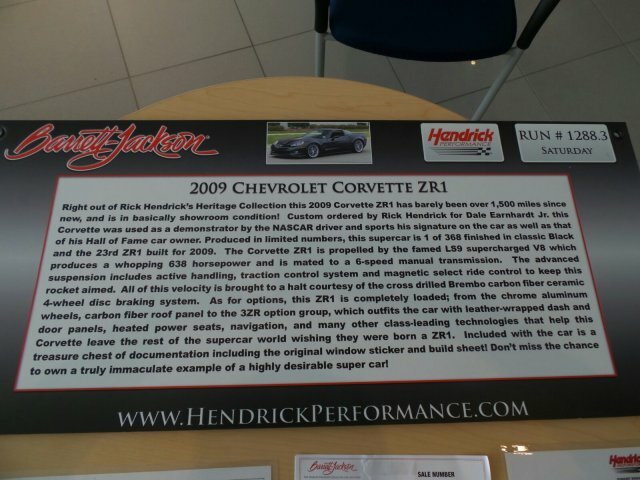 Here is the original listing from the auction house; you'll see that it describes the car as being "custom-ordered by Rick Hendrick for Dale Earnhardt Jr." and notes it was "used as a demonstrator by the NASCAR driver." Quigley flew out to the auction with his father Rick Quiqley, the dealership manager, where they met Rick Hendrick and his assistant Dale Ledbetter, who handled the sale. They were told that Hendrick had ordered matching Corvettes for all four of his drivers in 2008 and Earnhardt had driven it for promotional appearances, even if the car never spent time in his driveway. When they bought the car, Earnhardt personally gave them the autographed center console, which had been removed for him to sign just before the auction. It also came with a build sheet from the factory with Rick Hendrick's name on it, which Quigley points to as proof of the car's legitimacy. So why did Earnhardt say it was never his? Quigley said he believes that a member of the NASCAR driver's team wrote the tweet without checking with Earnhardt. He also adds that Ledbetter reached out personally to apologize for the mess yesterday—and reiterate that the car's provenance is correct. We've reached out to Earnhardt's people for clarification, and we'll update when we hear back. 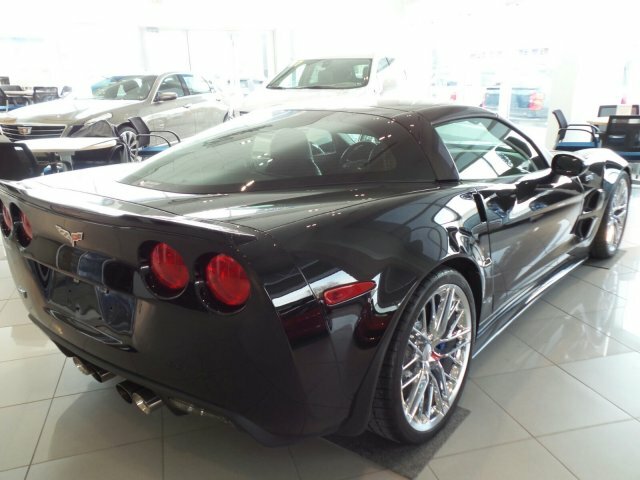 Either way, Fairfield Auto Group says they've taken a bruising over the ZR1 incident. Quigley described Thursday as "crazy," noting that they were inundated with $1 offers, angry phone calls, and even death threats (people, enough with the death threats). Their eBay account was suspended after thousands of Earnhardt's Twitter followers flagged their listing as false advertising, but they worked with the company to get it restored and have re-listed the car with its original documents along with language that more closely follows the original Barrett-Jackson text. So what's the bottom line? The whole thing sounds like one big misunderstanding...but if yesterday's events are any indication, that excuse just doesn't fly on the Internet in 2017. Dale Jr. tells The Drive that the car never belonged to him. It's bound for the great junkyard in the sky. Or, rather, the woods behind Dale Jr.'s house. His first thought: Dad's going to be so mad. With more than 600 races and 18 seasons under his belt, Dale Jr. announces his retirement. The social media legend himself gets behind the wheel for a few laps, too.